The Delhi High Court was hearing a petition filed by social activist Amit Sahni seeking a direction to the centre and UIDAI to utilise Aadhaar biometrics to identify the unidentified dead bodies. UIDAI submitted before a bench of Chief Justice Rajendra Menon and Justice VK Rao that matching of biometrics, including fingerprints and iris, is done on 1:1 basis and Aadhaar number is required for it. The court was hearing a petition filed by social activist Amit Sahni seeking a direction to the centre and UIDAI to utilise Aadhaar biometrics to identify the unidentified dead bodies. The bench asked the UIDAI to bring on record the details and file its response to the plea, explaining the system as to why it was not possible to match the fingerprints in such cases with the Aadhaar database. It also sought the reply of National Crime Records Bureau (NCRB) on the plea and listed the matter for further hearing on February 5 next year. 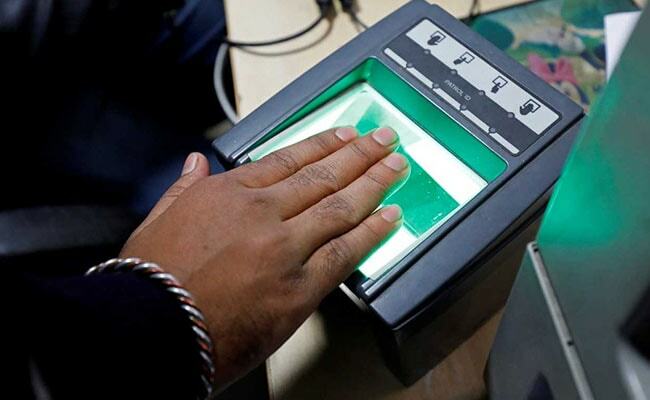 The petition has sought a direction to the centre, UIDAI, NCRB and all the states to scan biometrics of unidentified bodies and process them with Aadhaar portal to trace any pre-existing biometric details. Noting the submissions of UIDAI's counsel Zoheb Hussain, the bench said if it was technically not possible, how can it direct authorities to do it. Mr Sahni, also an advocate, submitted before the bench that it was possible to use Aadhaar biometrics to identify the dead, and even missing persons were traced through Aadhaar. The UIDAI counsel said that for matching biometrics, it required prints of all the fingers, iris scan and if they go by only one thumb print scanning, there are chances that it would match with multiple persons. "It is not possible. There are 120 crore persons on Aadhaar. It is always done 1:1," he said. He also referred to the October 12 order of an Aurangabad bench of Bombay High Court where the investigating officer had moved the court seeking permission to compare fingerprints of a dead woman in Aadhaar database to establish her identity. The UIDAI had told the high court that it was not at all possible to compare the fingerprints with the information stored. Noting this, the high court had dismissed the investigating officer's plea. Mr Sahni, in his plea, has sought directions to the centre and UIDAI to share pre-existing Aadhaar details, if already there, without any delay, with the NCRB and states for identification of dead bodies. In case the biometrics of the "dead body pre-exist on Aadhaar portal then directions be issued to share" them with the respondents immediately for handing over the body to the family or relatives "so that respectable and dignified exit could be ensured by performing last rites by affected persons (family)", the plea said. He has sought directions to constitute special courts for speedy disposal of cases pertaining to unidentified dead bodies under Aadhaar Act on the same day or the next day, irrespective of holiday. A similar plea was earlier filed by the petitioner before the Supreme Court which asked him to approach the Delhi High Court where he has already filed a petition for using Aadhaar biometrics for the purpose of tracing and re-uniting missing and mentally challenged persons with their families. Thereafter, he withdrew the plea from the top court. The plea said despite registering biometrics and scanning more than 1.22 billion citizens at the Aadhaar Portal, the database was not being utilised for the identifying bodies. 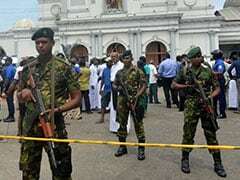 It added that thousands of unidentified bodies are recovered in the country every year. The petition sought directions to the authorities, saying usage of Aadhaar information would not only reduce manpower, expenditure and burden on the state in disposing the unidentified bodies but could also be handed over to the families in a short span of time. A five-judge Constitution bench of the top court had on September 26 declared the centre's flagship Aadhaar scheme as constitutionally valid but had struck down some of its provisions, including its linking with bank accounts, mobile phones and school admissions clause. The bench had held that while Aadhaar would remain mandatory for filing of Income Tax returns and allotment of Permanent Account Number (PAN), it would not be compulsory to link Aadhaar to bank accounts and telecom service providers cannot seek its linking for mobile connections.